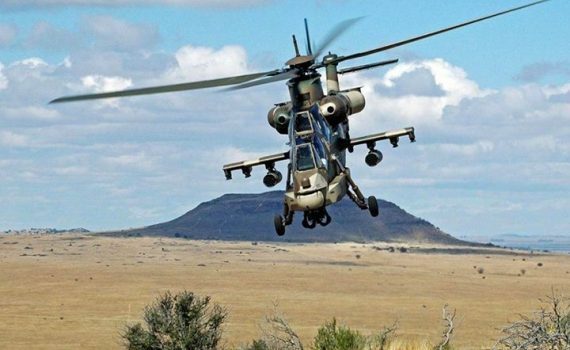 Did you know that a South African was instrumental in founding modern Special Forces as we know them today (The British Commandos, the SAS and even the US Rangers) and defined the art of Deception Warfare? Brigadier Dudley Wrangel Clarke CB, CBE (27 April 1899 – 7 May 1974), known as a pioneer of military deception operations during the Second World War. 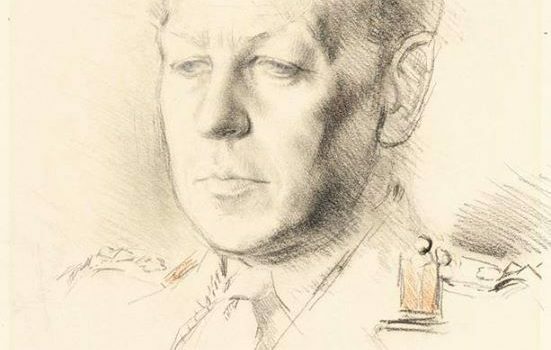 His ideas for combining fictional orders of battle, visual deception and double agents helped define Allied deception strategy during the war, for which he has been referred to as “the greatest British deceiver of WW2”. 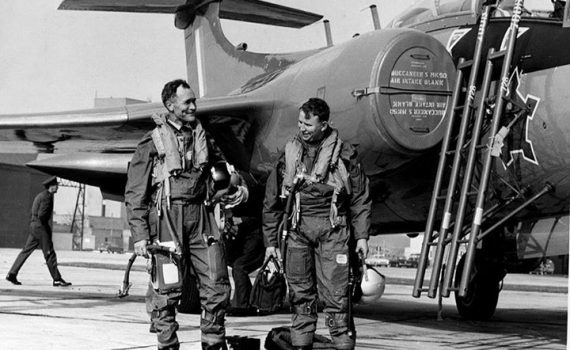 Clarke was also instrumental in the founding of three famous military units, namely the British Commandos, the Special Air Service and the US Rangers. Born in Johannesburg and brought up near London, Clarke joined the Royal Artillery as an officer in 1916, but transferred to the Royal Flying Corps after finding he was too young to fight in France. He spent the First World War learning to fly, first in Reading and then Egypt. Clarke returned to the Royal Artillery in 1919 and had a varied career doing intelligence work in the Middle East. In 1936 he was posted to Palestine, where he helped organise the British response to the 1936 Arab uprising. During the Second World War, Clarke joined John Dill’s staff and proposed, and helped implement, an idea for commando raids into France – an early form of the British Commandos. In 1940, Archibald Wavell called Clarke to Cairo and placed him in charge of strategic deception. As cover he was employed to set up a regional organisation for MI9, a British escape and evasion department. 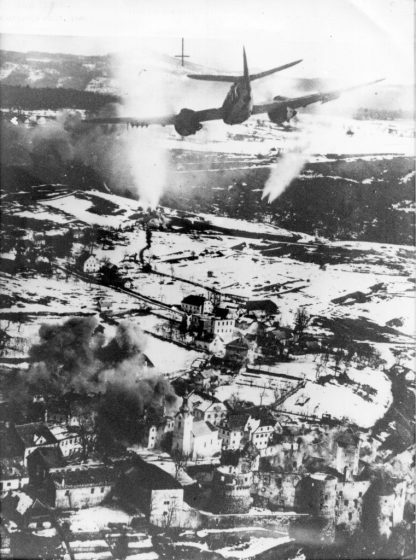 The following year Clarke received a war establishment and set up Advanced Headquarters ‘A’ Force with a small staff to plan deception operations. Once satisfied with the department’s structure, he pursued intelligence contacts in Turkey and Spain. In late 1941 Clarke was called to London, where his deception work had come to the attention of Allied high command. During Clarke’s absence, deception hierarchy in Middle East Command had become muddled. Colonel Ralph Bagnold had taken over deception planning, pushing ‘A’ Force aside. Clarke was sent to El Alamein, where Allied forces were on the retreat, to work on deception plans. Upon his return, Bagnold was sidelined and ‘A’ Force reinstated as the primary deception department. Throughout 1942 Clarke implemented Operation Cascade, an order of battle deception which added many fictional units to the Allied formations. Cascade was a success; by the end of the war the enemy accepted most of the formations as real. From 1942 to 1945, Clarke continued to organise deception in North Africa and southern Europe. After the war he was asked to record the history of ‘A’ Force. He retired in 1947 and lived the rest of his life in relative obscurity. As well as pursuing a literary career that produced two histories and a thriller, he worked for the Conservative Party and was a director of Securicor. He died in London in 1974. 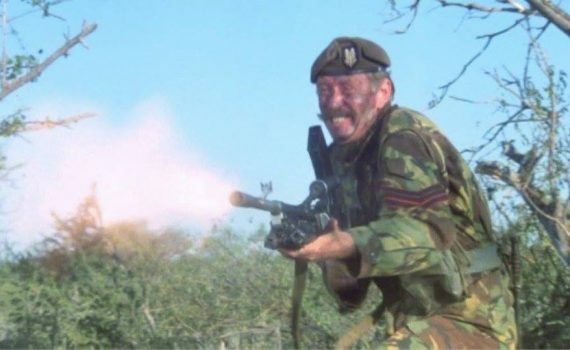 Some news from the South African Legion’s branch in the United Kingdom on Ian Yule (the chap seen here playing the tough cockney Sergeant Tosh Donaldson in “The Wild Geese”). Social services in the UK have finally taken him in, he is now in full time care in permanent accommodation. He now also has the support of military charities in the United Kingdom. Many of us may remember Ian Yule. He acted in many movies , The Wild Geese being the one he is most remembered for, as well as Zulu Dawn and Shamwari. He starred in numerous SABC series in the 80’s as well. On The Wild Geese he also doubled up as an on set expert weapons advisor and on set military tactics advisor. 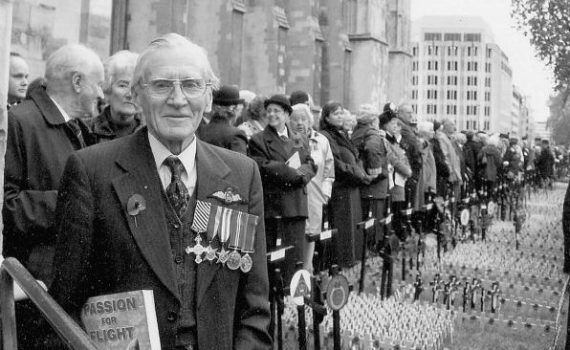 Ian Yule arrived from South Africa as a destitute veteran to the United Kingdom in mid December last year and called for assistance – the Rhodesian veteran community responded arranging for him to immediately be taken him into temporary care. 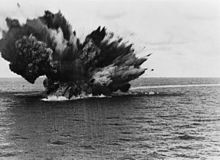 The case was brought to the attention of the South African Legion in the United Kingdom and the SSAFA. 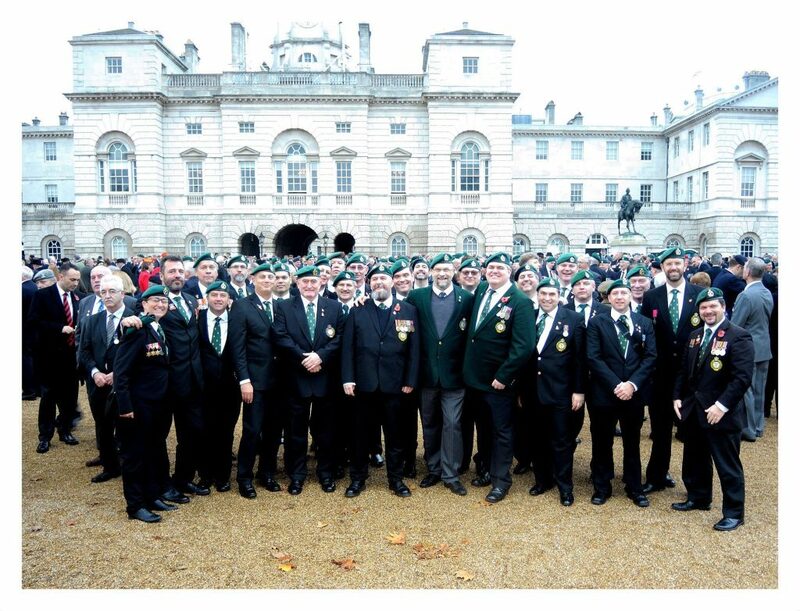 The SA Legion in turn engaged the Royal British Legion to ensure full case worker support was given to him – and that priority accommodation and care be made available. SSAFA case workers took control as did pressure on the local council to stop pushing the issue around – and engage a veteran in need (access to these types of “full” benefits in the UK are very difficult if you have not been resident in the country for some time of which Mr Yule was not). Mr Yule is a British citizen and was born an orphan before World War 2. He was adopted by a couple who were killed in the London Blitz during WW2, he was then taken in by Americans stationed in the UK. He joined the military as a boy soldier and remained in the military for a significant part of his life – the military has been the only family he knew. His complete service is rather varied, he is British Armed Forces veteran, who subsequently joined the Rhodesian Armed Forces, became a mercenary in the Congo and then he joined the South African Defence Force. He joined the British Armed Forces about 1948 – Boys Service, and was mustered as a trumpeter for the King’s Troop Royal Horse Artillery at St. John’s Wood Barracks. He then posted to the School of Artillery at Larkhill. According to Ian, he became jump qualified at the Jump School at Netheravon. 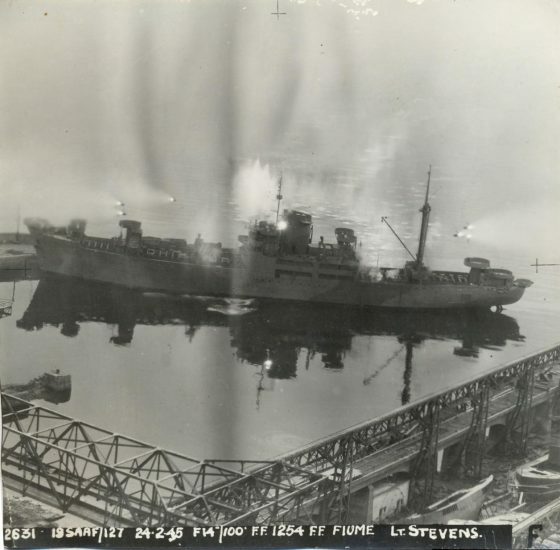 Subsequently he was sent for Infantry Heavy Weapons training and was stationed at Hythe – Kent. He maintains he received further training at 42 Royal Marine Commando (Kayak and off/onshore submarine loading), and was posted to Malaya, then was seconded to 41 Royal Marine Commando, which was based at American airbase – Toyoko. Ian’s story picks up again when he was then posted to Korea and took part in the Inchon attack during the Koeran War, on the West coast of Korea. From there he was redeployed and fought at the Battle of the Chosin Reservoir with the American Marines. This is where Ian Yule was captured and taken prisoner, he was a POW of the North Koreans for two and half years. Upon cessation of the UN War in Korea, he was released, he was redeployed to Egypt, then the Yemen, subsequently redeployed back to Egypt for the Suez Crisis. This soldier has seen action. He subsequently joined “Mad” Mike Hoare’s 5th Commando in the Congo as a mercenary. He also joined the Rhodesian Armed Forces and after that the SADF. Ian is now incapacitated, with numerous ‘war wounds’, very bad rheumatoid arthritis, walks with sticks, (but we now have him in a wheel chair), is very hard of hearing (cannot operate a telephone) and has degenerative eyesight. He is also thought to be suffering from on-set dementia. He carries a very bad gun shot wound to the abdomen. He had moved in a small apartment in Hillbrow and fell into financial despair. Whilst in Hillbrow he was been threatened with his life with little means for proper medical care. Ian Yule arrived in the UK carrying a small carry-on bag with one set of PJ’s and walking sticks – nothing else, apparantly he sold his medals for the one way flight ticket. 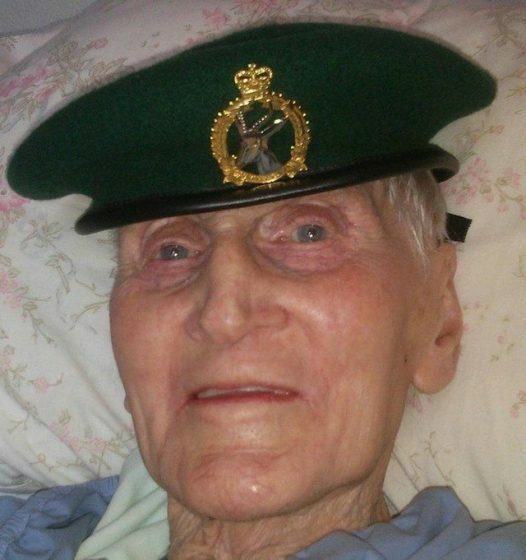 Jennie Upton from the RAR veterans association picked him up from the airport and he was in a state of incapacity – the Heathrow staff – upon his arrival had parked him in the luggage collection area, and forgot about him for an hour and half. A kind hearted taxi driver who waited for him whilst Jennie endeavoured to find him reduced his fare from £150 to £100 – even then a big hit for Jennie. In due course, after he’d had tea, he was driven across Graham and Debbie Goodwin, two “good Samaritans” – who opened their small home in West Sussex to a complete stranger and where he stayed for about 6 weeks. Mr Yule had a severe culture shock, he became disorientated and stressed. The Goodwin’s got him registered at the local Health Centre. Ian then had heart problems and was hospitalised. 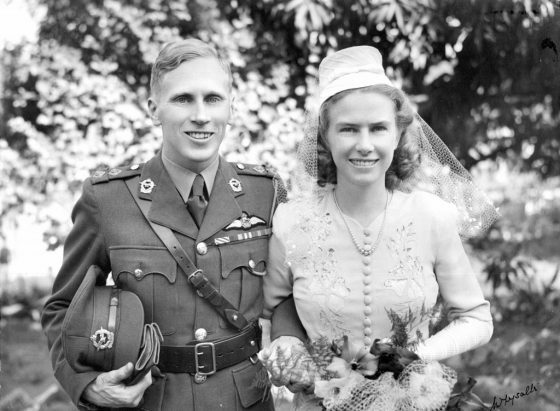 Both Peter Dickens from the South African Legion and Jennie Upton from the RAR Rhodesian veterans association worked to get him into proper care at the same time as advising the Goodwins on courses of action to take as this or that door closed to them. At the end of the day it was a job well done and he is now – against all the odds and with a steep up hill fight – finally in full time and permanent care. Well done especially to the Graham Goodwin and Jennie Upton, Bravo Zulu to both of you. 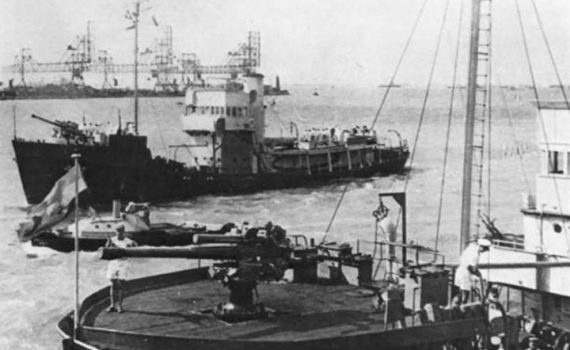 We remember the flotilla of South African whalers converted for military service during World War 2, and the loss of the men aboard the HMSAS Southern Floe. 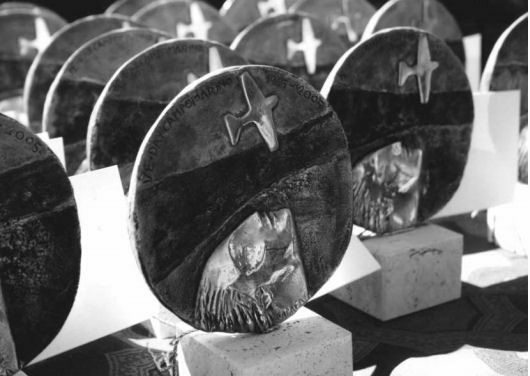 We salute these brave South Africans – here is the honour roll for the HMSAS Southern Floe. 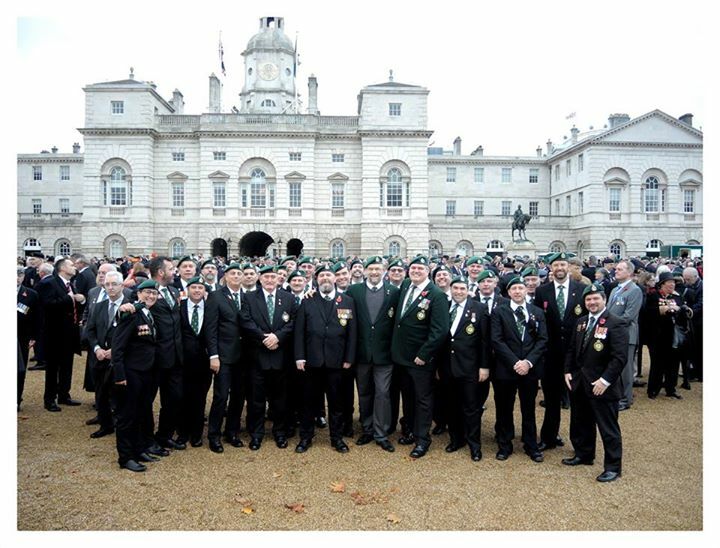 A full contingent of South African Legion Legionnaires laid a wreath in the world renowned Cenotaph Parade held in Whitehall, London on Remembrance Sunday – 8th November 2015. The parade has 20 000 veterans and personnel from participating public service organisations taking part in it, however the South African Legionnaires stood out in conformity as proud South African veterans.As is customary the parade begins at 11:00am with a two minute silence, the start of which is announced with an artillery salvo – heard across the city. Queen Elizabeth II has the honour of laying the first wreath at the Cenotaph – this year she was accompanied by the King of the Netherlands. Following the Queen, serving members of Royal family lay their respective wreaths. 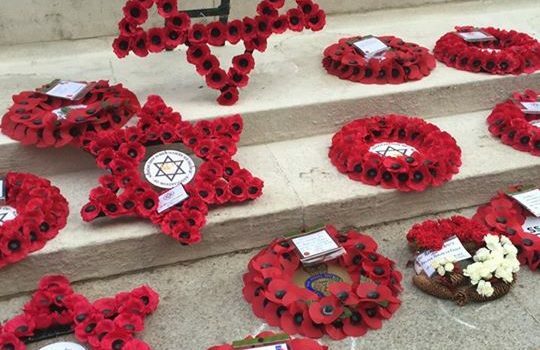 Once the Royal party has concluded wreath laying, members of the Cabinet, Opposition Party leaders, former Prime Ministers, the Mayor of London, other Ministers, Representatives of the Armed Forces, Faith Communities and High Commissioners of Commonwealth countries all lay wreaths. The march past starts with the Royal British Legion’s wreath. Thereafter the numerous regiment associations, veterans associations and public service bodies march past the Cenotaph with an eyes left and present their respective wreaths. The Legionnaires presented the South African Legion wreath – Stuart Robertson was given the honour. On the march the Legion took the salute of Prince William with an eyes right, before entering horse guards to conclude the march and dismiss. The wreath for the Royal British Legion South African branch was handed over by the branch’s youth members in the civilian columns. Post parade refreshments and wrap up was held at the Kings Head in Shepard’s Lane. Peter Dickens – the branch Chairman – thanked all the Legionnaires and branch members – over 30 members where on parade, exceeding last years numbers and this is indicative of the highly positive culture in he branch which is growing from strength to strength. 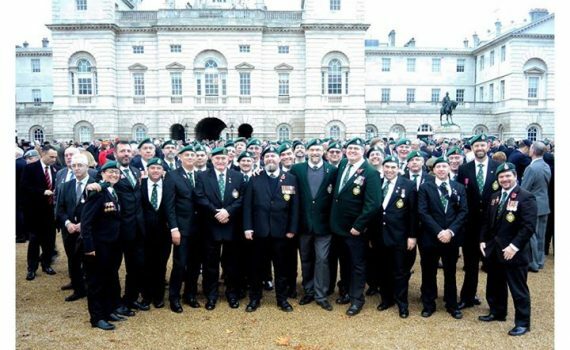 Notable thanks were given to Peter Gillatt, Theo Fernandes, Karen Dickens, Stuart Robertson, Russell Mattushek, Paul Gladwin, Andrew Bergman, Cameron Kinnear, Cary Hendricks and Simon Mcllwaine for the success of the parades in London and Glasgow and significant contributions to the branch over the year. The social was concluded with the anointment of the Branch’s Ceremonial Officer’s swagger stick – kindly donated by Russell Mattushek.